In 2002, former CIA director R. James Woolsey called the war on terrorism “World War IV.” To this day, we believe that this name is far more appropriate than any other name we have seen or heard. Because “World War IV” is descriptive and accurate. 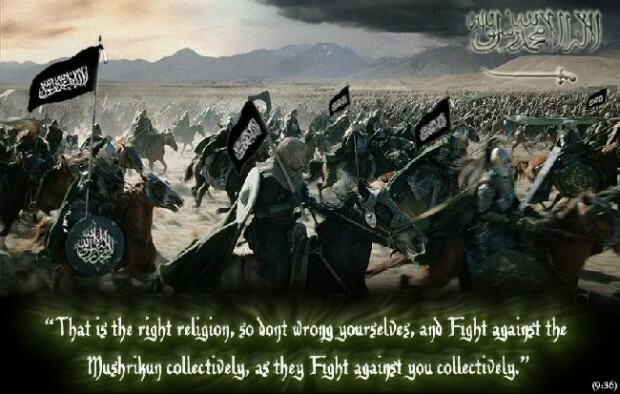 Militant Islamists are conducting offensive Jihad around the world to impose Shariah and eventually re-establish a caliphate. These Jihadists are far from homogenous and often at odds with one another, however, they are united in their hatred of the West. An example of one forgotten theater in this war is Thailand. Southern Thailand has been wracked by a Jihadist insurgency for some time, with intense combat since 2004. 3,300 people have been killed in the Jihadist insurgency there, which the Thai military has been hard-pressed to contain. Little is known about the Islamic “separatists” in southern Thailand and the US has been reluctant to become involved in this struggle, thanks to our unfocused and counterproductive State Department. The Thais, a loyal US ally since US aircraft conducted an air campaign from bases in Thailand against targets in Vietnam, are now buying weaponry from Russia, the Ukraine and Israel. From time to time, the Pentagon has explored the possibility of providing logistic support and advisors to Thailand, but the State Department managed to have these efforts aborted. Now that Obama is in office, you can be sure that the dim hope of US assistance is non-existent. The State Department has always failed to recognize World War IV for what it is–a global struggle against Jihadists. Obama seems determined to pare back the struggle against Jihad even more, to the point that there is no point in even questioning whether Obama would provide help to Thailand. As stated previously, much is not known about the Jihadists in Thailand. Why did they become so active again in 2004 after a long period of relative calm? How are they supported? Where are they getting their arms and training? Some in the media speculate that the Thai Jihadists are merely an isolated separatist movement without outside ties and support. I refuse to believe that. The timing is just too coincidental. The intensification of combat in 2004 coincides with Jihadist activity in too many other places in the world, from Algeria to the Philippines. The idea that this is exclusively a local conflict strictly borne of the overthrow of a Muslim monarch in Pattani 101 years ago, as some maintain, defies reality. And given the worldwide support for Jihad by government sources such as Saudi Arabia and Iran, not to mention numerous Muslim charities through zakat payments, one of the five pillars of Islam, I am extremely skeptical that the Thai Jihadists aren’t getting support from the outside. This conflict needs to be monitored. In other places, such as the Swat Valley in Pakistan, Somalia, Chechnya and the Philippines, armistices have been negotiated allowing Shariah to be imposed in disputed territories. (Thankfully, in the Philippines, that country’s supreme court declared the agreement null and void.) It would be most unfortunate if a similar agreement took hold in Thailand. For now, monitor is all we can do, until America is once again reawakened from its slumber and it recognizes World War IV for what it is and realizes that no theater of operations can be ignored and neglected.